The Spirit of Speyside Whisky Festival runs from April 28th to 2nd May 2016 , where whisky is celebrated in a variety of events across the area. Since its inception in 1999, the Festival has developed close links with many Speyside businesses and communities as everyone works together to provide an ever-improving range of events, facilities and services both for local people and the increasing flow of international visitors. 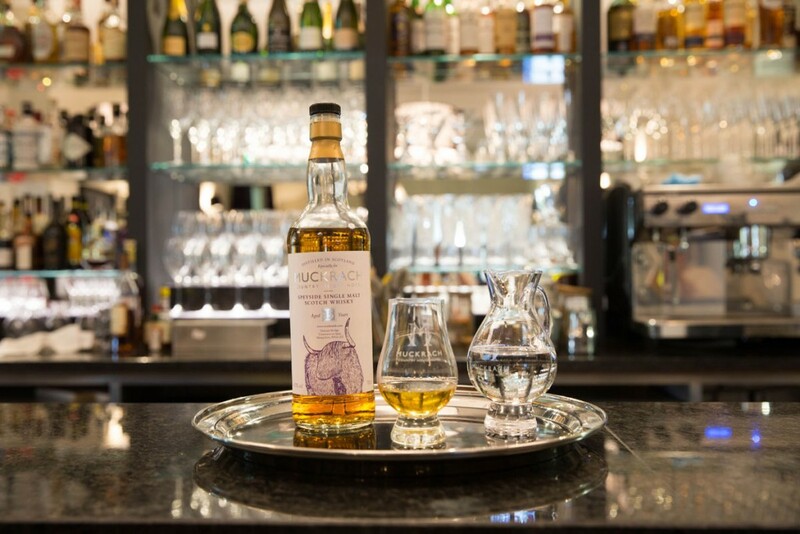 Muckrach Country House Hotel is situated on the edge of the Malt Whisky trail, a great place to begin your whisky exploration and end with a relaxed Dinner, a whisky from the Bar and a deep sleep in the luxury bedrooms. Alternatively, experience a Whisky Retreat at Muckrach with a 2 night Dinner, Bed & Breakfast package from the 29th April to 1st May 2016. On Friday 29th April arrive at noon for a wee dram and a light lunch by 4pm enjoy a whisky tasting in The Bar and a 3 course Dinner at 7pm. On day 2 the day is yours to enjoy. Why not visit the iconic whisky distilleries of Speyside? Follow the Malt Whisky trail taking in breath-taking scenery on the way. More details about the Spirit of Speyside Whisky Festival and the events in the area can be found here.